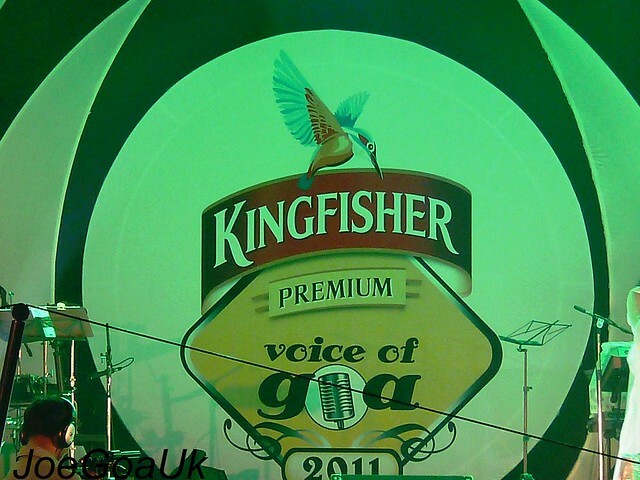 It’s Kingfisher's Voice of Goa. 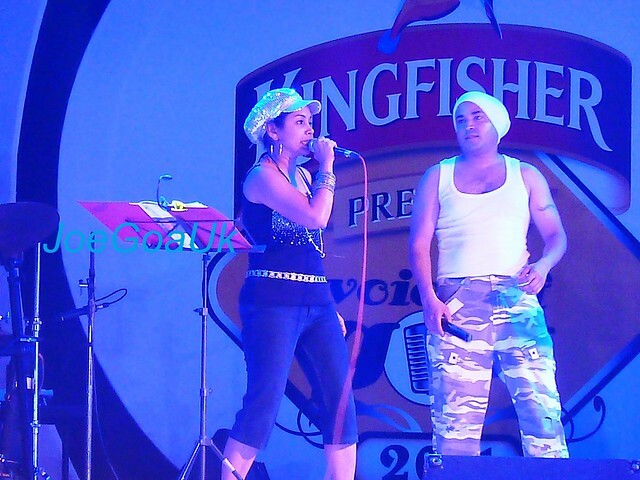 This year it was 7th year and grand finale took place at SGPDA grounds at Margao on 12th and 13th November, 2011. 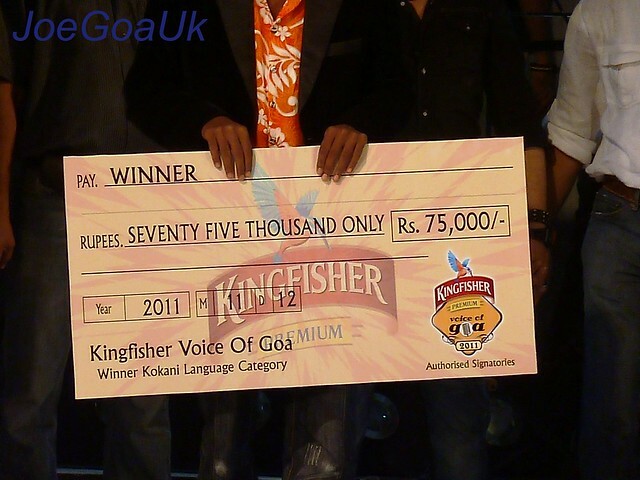 4th time Lucky, Akash Telgu is the Kingfisher’s Voice of Goa 2011 – Konkani. Young Akash is more into bollywood Singing/Dancing since the age of 5. We been watching his performance since he was just 13 (I have clips of his dancing/singing in 2005, 2006 (Youtube see link below) and so on. Akash is now 20 and studying at Chowgule College. Son of Rajan and Rajvi Telgu from Raia, Goa. 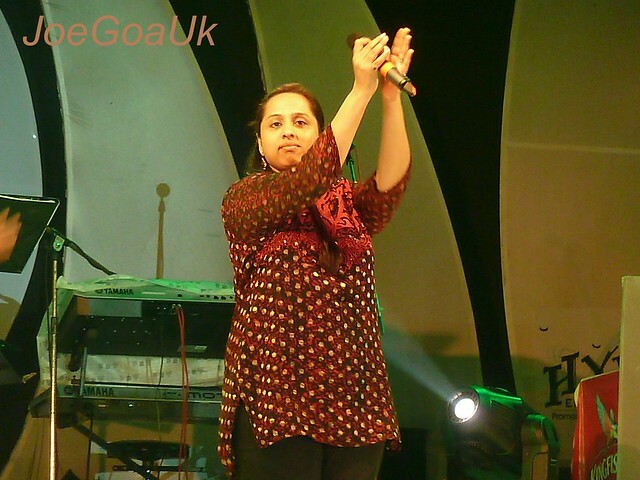 Queenie is form Siolim, Goa and was lecturer in Mapusa College. 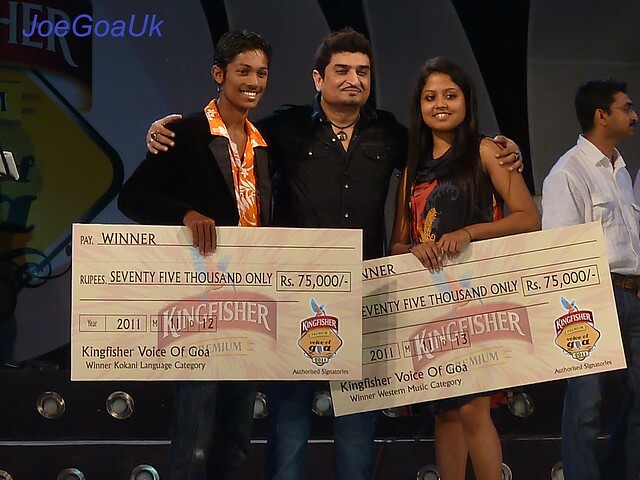 Incidently, Queenie is the third winner hailing from the same village Siolim for the last 3 consecutive years i.e. 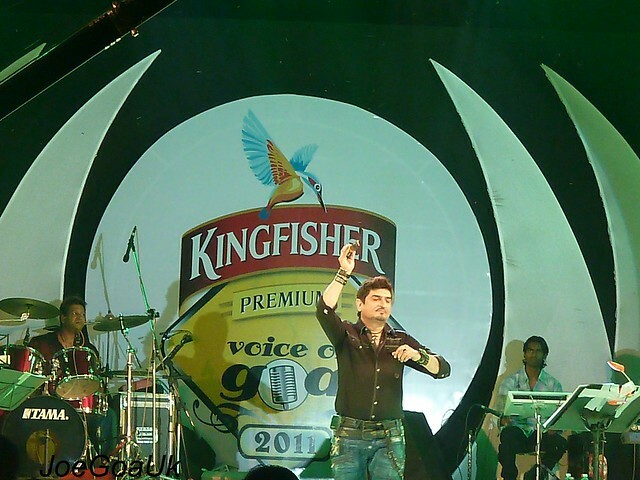 2009, 2010 & 2011.
winner in each category get a cash prize of Rs.75,000 where as in English category the winner also gets one year contract with Kingfisher worth Rs.3 lacs. Sigmund De Souza, Joaquim D'Souza and Praveen Gaokar for Konkani rounds and Belinda Fernandes and Alex Braganza joined Sigmund in English rounds. Crowd had a good time with Bombay Vikings band. Watch the audience participation part of the show, where Neeraj Shridhar (Original Member of Bombay Vikings) came down to the audience..